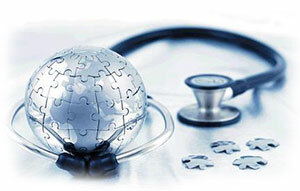 The Hospital Management System (HMS) is a computer-based system that establishes an orderly and systematic method of managing all the departments of a hospital and clinic including patient records for both out-patients and in-patients leading to a more satisfying health care experience starting from patient registration to checkout. The system manages daily activities of the hospital/clinic in all its departments – Pharmacy, Laboratory, Radiology, Physiotherapy, Records, Out Patient Departments (OPD) and all wards – Medical & Surgical, Maternity, Intensive Care Unit (ICU), Operation Theatre etc. Management of International Classification of Diseases (ICD), WHO disease codes, etc and codification of all services in the hospital/clinic for standardized reference and ease of use across the hospital/clinic. Interfaces with various electronic equipment in the hospital / clinic. Ward services management such as admissions, patient’s movement and discharges. Simple ; Easy menu for navigation. Easy to learn ;Graphic user interface of the application is user friendly. We provide RFID/ WIFI based patient tracking system with patients provided badges at the time of admission to monitor and assist them during their time of stay at the hospital. These badges send alerts based on patient inactivity/activity levels, movement history and entry into restricted zones. There is no need for manual dialing, map look-ups or voice prompts. The badges are also used to queue patients between treatments and reduce wait times, while help is just a button press away. Caregivers can also monitor timed activity/inactivity and automate rounding reminders, viewing patients’ alarms on real-time maps or on their Wi-Fi badges. Better intelligence means improved patient flow, more caregiver interaction and higher throughput, driving revenues.